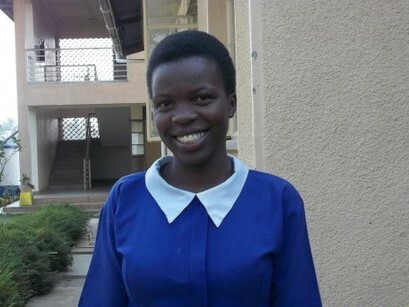 Nyangoma Juliet is a successful, 25 year old nurse who started in our program when she was only 8 years old and was living with her very sick mom, an aunt and several cousins. Life was very hard for them and shortly after we started helping, her mom died. 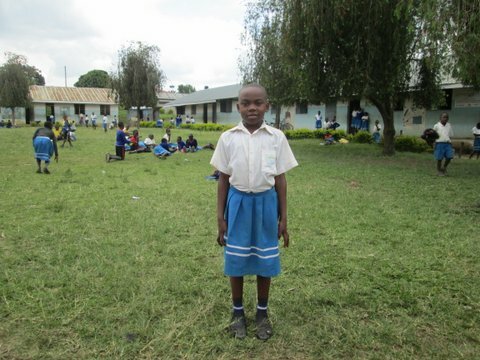 She continued working hard at school often having nothing to eat and she slept on the floor with her other cousins. She finished P7 with high marks and we sent her to a girl’s boarding school where she could have enough to eat and a place to sleep. On holidays she left her aunt’s house to stay with her very sick dad and helped him however she could. After finishing Senior 4, she wanted to become a nurse and do her part with the huge medical needs, after seeing so much death and sickness. She is now married to a doctor who is working at a refugee camp, aiding people who are escaping genocide from Southern Sudan. I am sure that she will make a big difference in many lives along with her doctor husband. I am grateful to her sponsor who continued to help her through all these years. Helping families like Juliet’s is a huge part of the work we are doing here at YES. It gets overwhelming at times how many families struggle to put their children through school and how many we have to turn away. I’m not sure how European schools run but I do know the school system here in Uganda is quite different from the U.S. school system. The quality of schools here in Uganda also vary from deep village schools to more modern schools closer to town. Here’s some info for you about how the system works and the costs that are involved. In areas of Kabarole District, in Fort Portal-Uganda, most children never attend nursery school; they start their education at the age of five or six at the nearest Primary school. In Uganda, there are seven Primary school years (P1 – P7). Many students drop out part way through their Primary years but they return later, so it is not unusual to find teenagers sitting in Primary exams. A school year consists of three terms (starting in February and ending early December) and the fees are paid by term. At the end of P7, students sit their first major National Exams – the Primary Leaving Examinations (PLE). The results of this exam determine the next direction for their education. Pupils who pass their PLE can progress to Secondary School. This has two stages; O-level and A-level. The first four years, Senior 1 (S1) to Senior 4 (S4), constitute the O-level period. At the end of S4, students sit the second major National Exams known as the Uganda Certificate of Education (UCE) or simply O-level examinations. Students who pass their O-level exams may progress to A-levels or the Higher School Certificate (HSC). This lasts two years, S5 and S6. 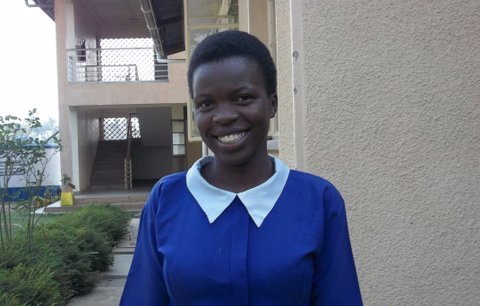 At the end of these two years students sit for the Uganda Advanced Certificate of Education (UACE) examinations, also known simply as A-levels. If a student is weak with O level results, we then suggest they pursue a vocation that will enable them to support themselves. There are many vocational options, such as welding, carpentry, sewing, hairdressing, and mechanics. Students who have had success in O level can go into nursing, lab assistant, teaching and other professions that require students to show proficiency in particular subjects. It’s a common misconception that there are free public schools here in Uganda. There is no such thing as free schooling. Primary 1-4 approximately costs $30 a year, or $130 with lunches. Primary 5-7 costs $60, or $160 with lunches. Primary 7 runs $85 a year. With Secondary Schools there are several options. The least costly are the government schools that run about $145, with private schools being about $170. Again if they are to get lunches that is an additional $100 per student per year. If a student shows promise or has horrible home living conditions we try to send them on to boarding schools. This kind of school gives the student the best chance for success because the students get electricity to study, as well as 3 meals a day and their own bed. These schools run about $700 a year with some additional costs for S4 and S6. This year we have 56 students in Secondary boarding and 1 child in Primary boarding school. This gives you an idea of what schooling costs. With many adults in this community earning $2 a day or less, many children are never able to attend school. In addition to tuition costs, students are required to have uniforms, sweaters, shoes and scholastic materials. Secondary schools also require reams of paper and even such things as bus fees, cement, paint and whatever else they may want for the school. Not only do all of these schools require a great deal of financial support, they also require a large time commitment from YES staff. Coordinating student enrollment, school fees, required supplies, keeping track of student achievement and helping counsel students on career paths all require a great deal of dedication and many long hours. Our goal is to see young people have success in whatever job their school path leads them and it is such a joy to be able to provide these opportunities to the children in our program! I hope that all of you living in cold climates will soon be seeing a beautiful spring and I thank all of you for your ongoing prayers and support. Thank you! This is very helpful…. 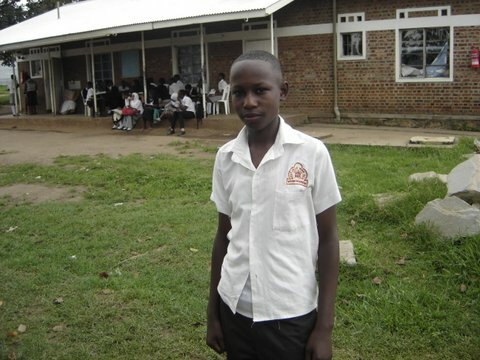 we sponsor a young man at the WHM school in Bundibugyo.